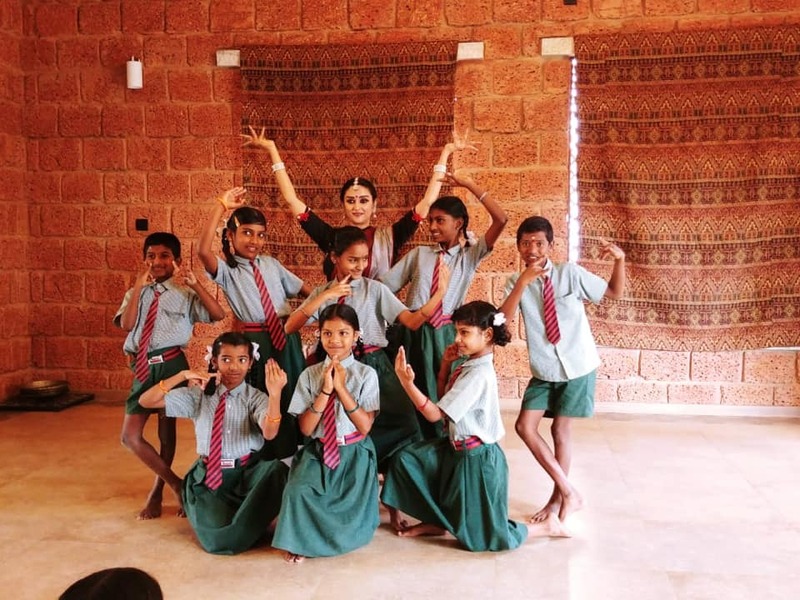 As part of Sarani and Whitefield Ready’s effort to expose our Govt School children to classical dances of India, about 75 students from Nellurhalli Govt School were assembled at this beautiful venue. 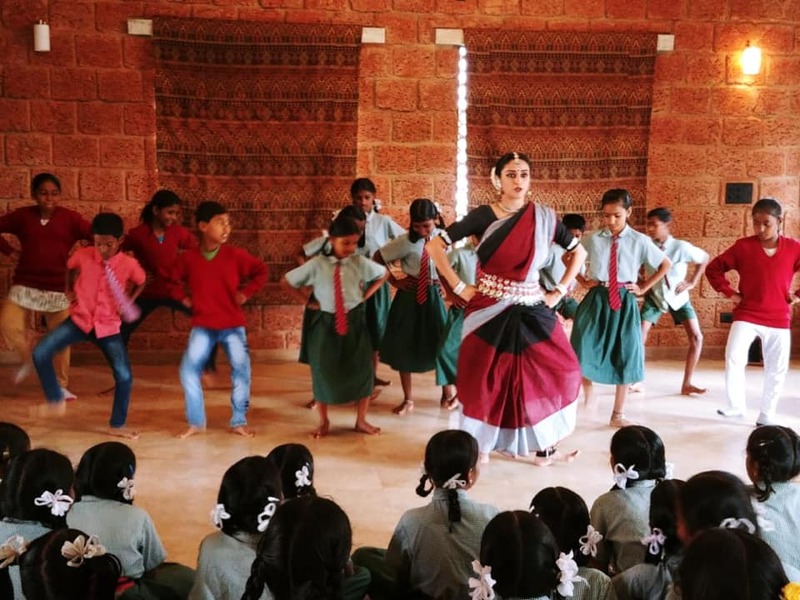 Member Shubha Nagarajan,an Odissi dancer , briefly introduced the children to various dance styles of India, and what sets classical dance apart from film and folk. She focussed specifically on Odissi,its basic postures techniques and movements. She urged a few children to volunteer and try and few steps.It was wonderful to see the enthusiam from boys and girls alike. She interspersed her lecture with demonstrations and short pieces of dance that brought out the essence of Odissi. The story telling aspect of dance was something the children enjoyed thoroughly. At the end of the hour long session, the dance had evoked curiosity, interest, and joy. Sarani hopes to bring another classical dance style to another Whitefield Ready adopted school soon.